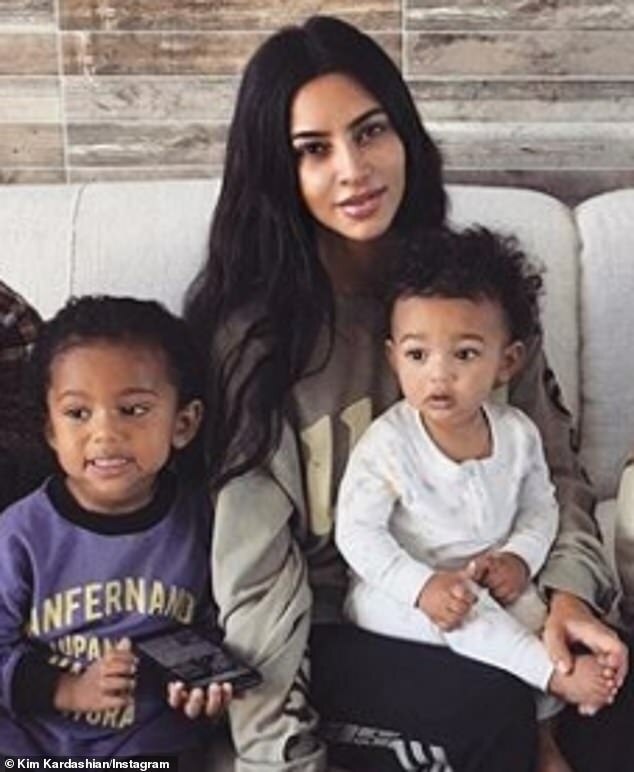 Kim Kardashian shared a rare family portrait this weekend, the Daily Mail reports. The 38-year-old siren had daughter Chicago on her lap with son Saint to her side as they sat on a sofa. Also present was sister Kourtney with her son Reign and daughter Penelope. And to the far right was Kris Jenner's mother MJ. 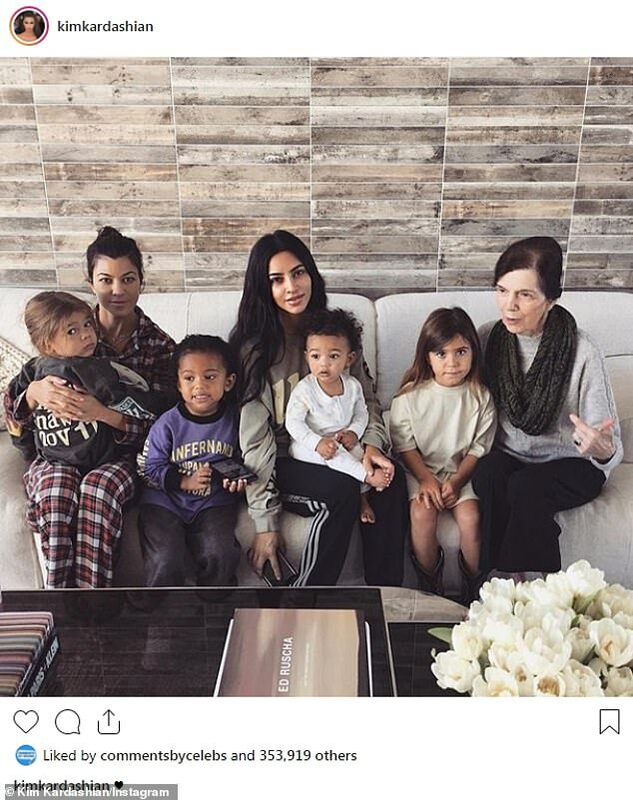 Kim's daughter North West was not seen. The family was in a living room on a beige sofa with an Ed Ruscha book on the coffee table next to white flowers and beige tiles on the wall behind them. Missing were Khloe, Kylie and Kendall as well as Kris and Kanye West. The caption was simply one little heart.